Several months ago I ran across the short films produced by Kikkoman (The makers of soy sauce). Of course I do enjoy soy sauce, but I it is not something I really think about when looking for leadership insight; however, I was amazed by the Kikkoman family creed. They have developed this creed over their 300 + year history. 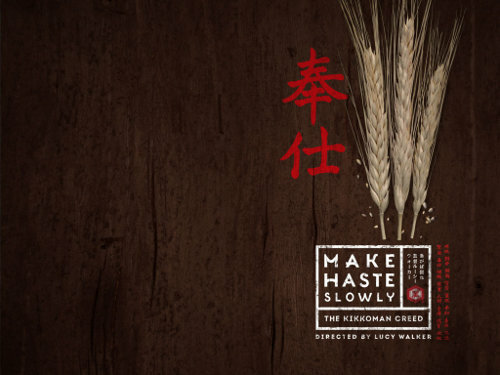 “Make Haste Slowly.” It means to advance and grow, but to do so with tremendous thought and care. Over the next several months I will pick an article from the creed to explore deeper. Which of the above creeds are important to you? What creed would you create for your family?